Anu Francis John, Dr. Krishna Kumar, Dr. Alexander, Prakash Bare, and Raj Kalady at the Waves2018 inauguration. Kalady speaks on his disruptive scuba diving experience. Dr. Kumar and Kalady with longstanding members Binu T. Omana and Mehraj A.
Dr. Ed Hoffman, former chief knowledge officer of NASA, delivering the keynote address at Waves2018. Volunteers who made Waves2018 a huge success. It was a full house at Waves2018. PMI Kerala Chapter conducted its eighth annual project management conference, Waves2018, on 9 June at Ramada Resorts in Kochi. 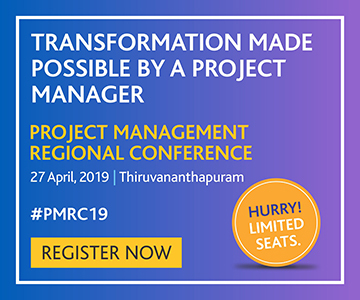 The theme, "Adapting Project Management For Disruptive Times," was chosen in view of the challenges constantly thrown up by global and local disruptions. 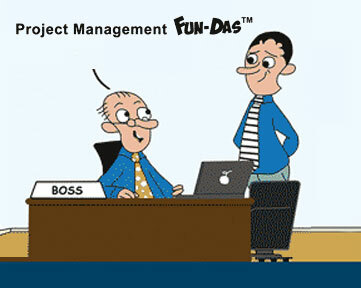 The aim was to explore how these could be leveraged and converted into opportunities using project management practices. The event saw enthusiastic participation from over 300 delegates from various industry sectors such as IT, aerospace, construction, oil & gas, banking and finance, as well as various state departments. 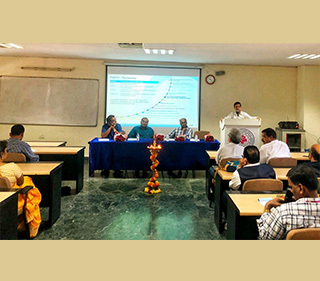 Chapter president Dr. Krishna Kumar TI listed the recent achievements of the chapter, including introduction of the PMI Kerala Awards in Waves2018 and participation of student delegates from the Academia Student Forums of three educational institutions — Rajadhani Business School, Amritha Vishwa Vidyapeetham and TKM Institute of Management. He also disclosed that the chapter is in the top 50% in member retention and member satisfaction. 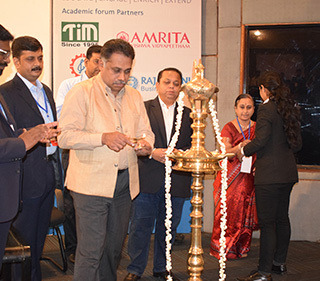 The event was inaugurated with a traditional lighting of the lamp by the five chief guests: Dr. J Alexander, IAS, former cabinet minister and chief secretary, Government of Karnataka; Prakash Bare, producer and actor; Dr. Krishna Kumar; Raj Kalady, managing director, PMI India, and Anu Francis John, co-director of Waves2018. Dr. Alexander lauded the unique reception of delegates by Sayabot, a humanoid robot, courtesy Asimov Robotics, Kochi. He concluded his keynote address with advice in the form of a Malayalam song. 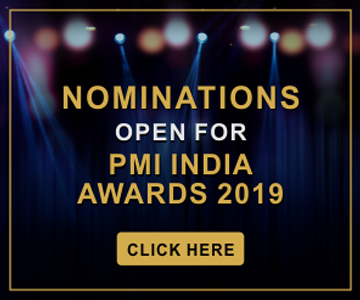 The chapter announced the winners of the PMI Kerala awards, introducing each of them to the audience with a video highlighting their select projects. Raj Kalady spoke on ‘Preparing for Disruption’, based on his real-life experience of facing a very disruptive scuba diving expedition and the lessons learned from it. The audience had the privilege of listening to PMI Strategic Advisor Dr. Ed Hoffman, who is the former chief knowledge officer of National Aeronautics and Space Administration (NASA), and academic director, information and knowledge strategy, Columbia University School of Professional Studies. Dr. Hoffman presented his views on the conference theme through case studies from his experiences at NASA. Thirteen members of the chapter were felicitated with the Long Standing Member Award from PMI India, for being with the chapter for over eight years. 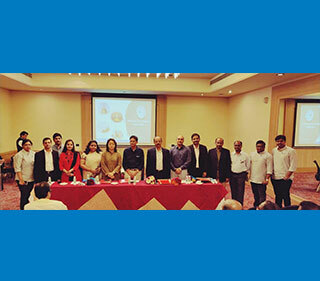 Ramam Atmakuri, founder and past president of the PMI Pearl City, Hyderabad Chapter, explained how his project management expertise has helped in his current position as the executive vice chair at LV Prasad Eye Institute. The post-lunch session addressed by actorproducer Prakash Bare saw the audience being updated on the disruption faced by the Malayalam movie industry. Having been a technopreneur himself, he explained the adverse fallout of the lack of agility in adapting to disruptive changes, and listed the steps the Malayalam movie industry could take to regain its old glory. There was a panel discussion following the keynote address of Koshy Mathew, executive director, EY Global Delivery Services. The panel comprised Dr. Najeeb Zakaria, chairman of CREDAI, Kerala; Sanil S K, managing director, MarketFed; Brajesh Kaimal, co-founder, Experion Technologies; and Rajeev Rajasekhara Panicker, group project manager, Infosys. The panel highlighted the myriad opportunities presented and challenges posed by current-day disruptions and our preparedness for facing them. Salil Jose Ambatt, who currently leads the product engineering function for application services at DXC Technology, Kochi, was the moderator. Best Socially Responsible Project from Organizations. The winners were picked by the award committee led by Jayakrishnan G and a review committee comprising Brajesh Kaimal, Rajeev Panicker, and Vikram Kumar B T.
The Best Management Institute award was bagged by Amrita Viswa Vidyapeetham, Kochi. The Best Academic Project award went to Mohammed Nishad Ashraf from TKM Institute of Management, for his study on project management and cost optimization at Homestead Projects and Developers Pvt Ltd. The runner-up award in this category went to Kripa J. Malayil from Rajadhani Business School, for her comparative study on the implementation of maritime logistics between the Vizhinjam International Seaport in Kerala and Colachel International Seaport in Tamil Nadu. Extravelmoney Technosol Pvt Ltd was declared Best Start-up Organization for 2018, while Jobveno.com was adjudged runnerup. The Calpine Group, Kochi bagged the award for Best Socially Responsible Project from Organizations for the project ‘Engage’ executed by Pratyarpana, the CSR arm of the group. This project, conceived in association with IIM Kozhikode - Kochi Campus looks at adopting government schools to nurture the talents of pupils. Besides providing soccer coaching, selected students are also given academic guidance.